After gaining entry into the iconic Casa Batlló with your tickets, you can collect your map of the structure as well as your smart guide so that you can begin exploring this celebrated example of Gaudi's distinct architectural style. Casa Batlló may look like something out of an aquamarine dream but the building was initially built with the intention of being residential, which is why it is situated in its prized location on Passeig de Gracia. Though Gaudi unleashed him imagination when Josep Batlló gave him complete creative freedom to renovate this building, which can be seen in the Catalan artist's use of color and light especially in his design, it's a truly functional building, much more reminiscent of apartment buildings now than anything that existed 100 years ago. Your guide will help you navigate through the different parts of the building, be it the loft - an unusual and elegant space, considering that it used to contain laundry rooms. The area is adorned with catenary arches, making the inside look like the ribcage of some magnificent beast, most likely the dragon that adorns the roof of the building. 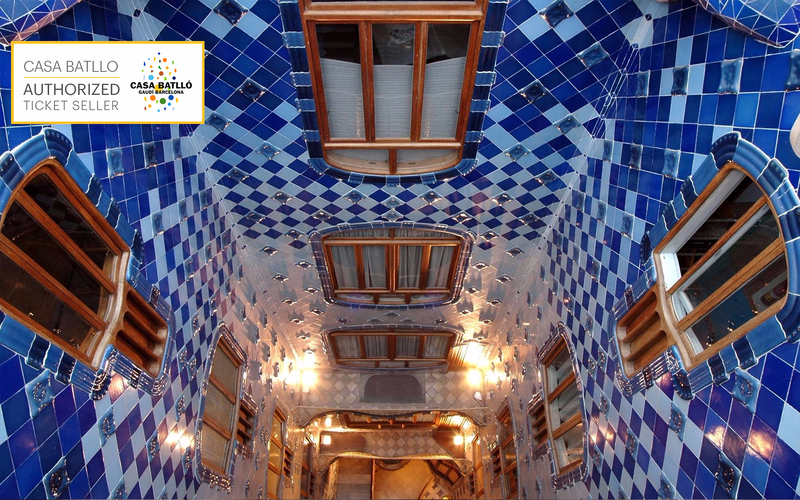 You will also get to see the Noble floor, where the Batlló family resided in their day. It comprises of a study, dining room, and a private entrance hall, all embellished in Gaudi's signature style - whimsical, yet deliberate. You will also get to see the roof, which has the distinct shape of a dragon's spine, to represent the monster slain by St. George, as well as chimney stacks that were built to prevent backdraughts. Your smart guide will also help you better admire the external architecture of Casa Batlló, such as the exterior facade, made up of many different ornaments, like the tile on the roof to represent the shiny scales of a dragon or the lack of straight lines in the entire design of the space. Even after the commentary on your guide runs out, feel free to stay back and explore on your own! 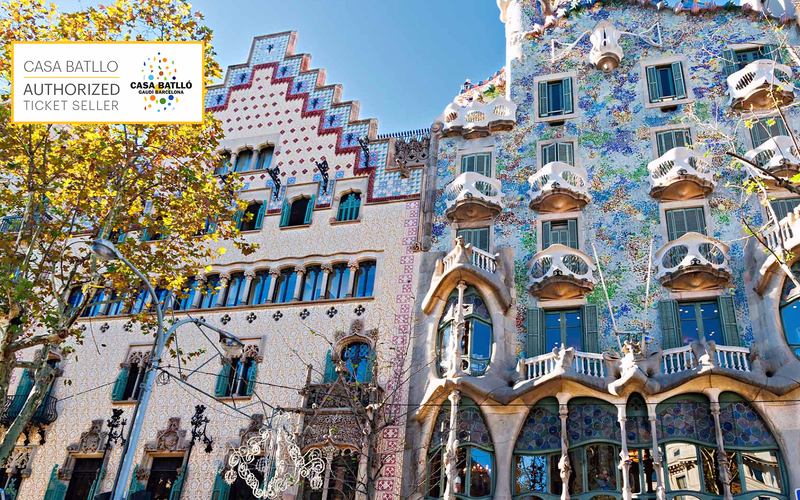 Enjoy skip-the-line access to the spectacular Casa Batlló, a UNESCO World Heritage site, and architectural marvel. Be astounded at the architectural details hidden behind the facades that continuously interact with light, color and shapes inspired by nature. Admire the free conceptual design and artistic technique that makes the building a work of genius. A video guide with augmented reality, virtual environments, and 3D animation will guide you through the house and is included on this tour. 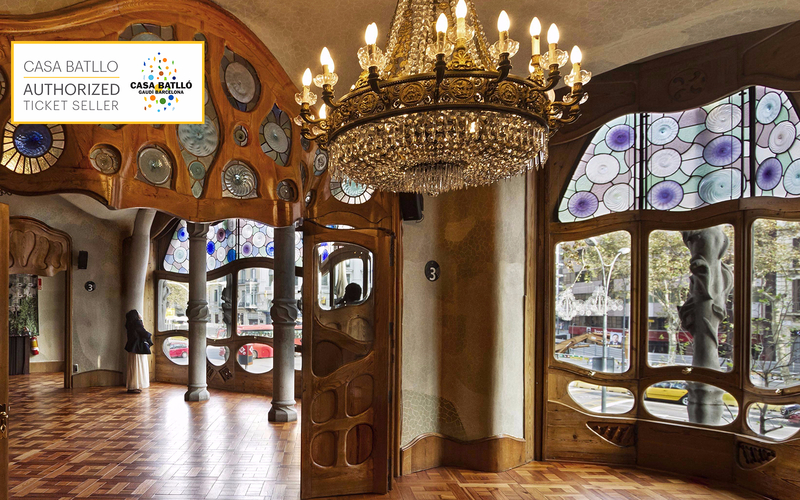 Get 15% off when you book these Casa Batlló tickets. 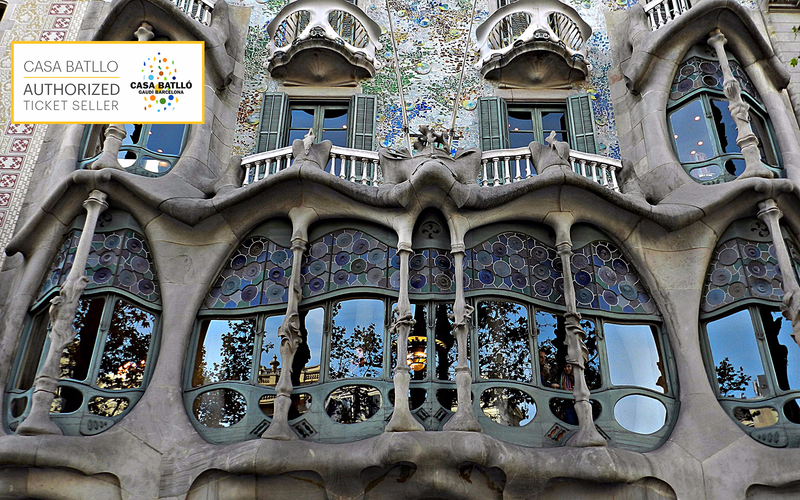 Casa Batllo is open 365 days a year, from 9:00 AM to 9:00 PM. (Last entrance is at 8:00 PM). At the time of checkout, you will have the option to book tickets for both adults and children. Child tickets have reduced pricing so please select these according to the age specified for these tickets. Please carry valid ID for all members of your party for whom you're booking reduced pricing tickets to confirm their age if required. Entry for children below the age of 7 is free. By Metro: Passeig de Gràcia station on lines L2, L3 and L4. By Bus: H10, V15, 7, 22 and 24. The video guide is available in the options listed below. English | Catalan | Spanish | French | Italian | German | Chinese | Japanese | Russian | Portuguese. You will receive an email with your Casa Batlló tickets shortly. You may display the ticket on your mobile device with a valid photo ID at the time of entry. Entry tickets to Casa Batlló. Free admission for children under 7 years old with valid ID.